I received some very good news the other day: Cachaça Werneck, by far one of the best finds I've had over the past year, just received Brazilian regulatory approval for export. 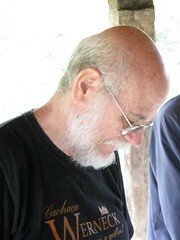 I had the fortune of visiting the distillery and meeting its eponymous proprietor, Eli Werneck. The photo slideshow is below. Read my interview with Eli about his export news after the jump. Congratulations on getting the export license. What was the process? How long did it take? Thanks. Within the Ministry of Agriculture, it was very easy and fast. Our first registry in 2009 had already included "export" as an activity. 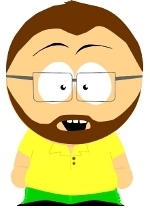 So it was only a matter of formalizing it. But within the Ministry of Finance, it took a little longer. We had to hire the services of a specialist and he needed to go there about 10 times. Many copies of documents were required and we had to go through some bureaucracy. This whole process took about two months. How long until we can expect your cachaça in the US? Soon! In the beginning in small volumes and few places. But we expect to grow our sales to US and other countries gradually. A small number of boxes (1 dozen bottles each) were air-freighted this week to Miami by a trading company that will present our cachaças at the Miami International Wine Fair at the end of September. We have also been contacted by people interested in importing our cachaças into Florida and Connecticut. This is just the beginning. 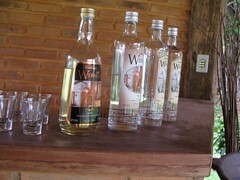 We intend to be everywhere there is a demand for high quality cachaça. We have already sent some samples to different countries in Europe, as well as Mexico, Argentina and China. You have an interesting and unusual story, having been the CEO of Volvo Penta Brasil. 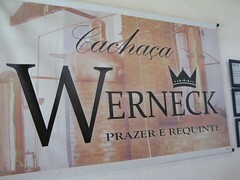 How and when did Werneck Cachaça start? Although I drink moderately, my interest in cachaça exists since my youth. In the early 80s, for two years, I produced very low quantities of cachaça using sugar cane from my backyard. Some friends loved it. 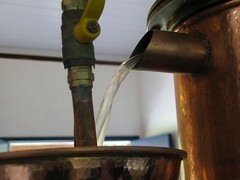 That cachaça was produced in the very old style, cutting “head”, “heart” and “tail” by tasting and smelling. I only stopped that hobby because I moved from that house and had no more sugarcane. To compensate, I started a cachaça collection. In 2006, I bought a piece of land and decided to plant sugar cane and produce cachaça. I hired an agronomic engineer specialized in sugar cane. He proceeded all the soil analysis, chose the area to plant, specified the soil treatment and selected the appropriated type of sugarcane for the soil and climate. We were very successful with the plantation. This agronomist is now Ph.D. and his thesis was “sugarcane.” He is still working for Werneck and we became close friends. Simultaneously, my wife and I started to do several research projects and enroll in courses in order to become good cachaça professionals. I designed the premises with assistance from one of our teachers. You know the results. The culture of quality and technical accuracy I adquired along my more than 30-year career within Volvo Penta played a very important role in this project. Concepts like: “Plan in all the details before starting” and “Do it right from the beginning” are always on my mind. Your Ouro, Prata and Tradicional products are excellent, with the last two faring quite well in the tasting Cachacagora did with Brazil-In-Chicago. Any other varieties you are contemplating? We will launch an orange liqueur very soon. It has been greatly enjoyed by everyone who tasted it. The Prata will be presented 2012 in a new bottle next year. This will differentiate it a little more from the Tradicional, but there will be no change in its taste. And in 2014 we will launch a limited edition of an extra-premium cachaça aged three years in oak. We have some other ideas related to harmonization and other gastronomic applications, but it is too early to disclose.